Almost everyone is impacted by Social Security. Millions of workers contribute to the program and millions more receive benefits every day. 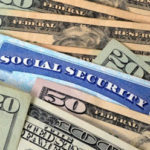 But how Social Security can or will help you depends on a variety of circumstances. Most people will begin receiving benefits once they reach retirement age, but others access the system earlier based on experiencing an illness or injury that results in disability, or by being a survivor of a worker who has passed away. All of the varying needs makes the Social Security system somewhat complex. But that doesn’t mean the government doesn’t want you to understand what you are entitled to. 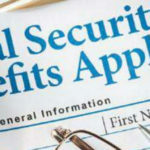 In fact, the Social Security Administration releases guidebooks to help the general public get the information they need. To give you a head start in understanding how Social Security can help you, here is an overview of the major benefits the service provides. Eligibility for Social Security benefits is based on work credits, and you need 40 credits during the course of your life to qualify. In 2016, every $1,260 in earnings gave you one credit towards the 40 credit minimum, and you can earn up to four credits a year. That means, most people who work full time can earn the required credits in approximately 10 years. You can verify the number of credits you have by checking your Social Security statement, which can be accessed online. To be eligible for retirement benefits, you must reach official retirement age. Full retirement age varies depending on when you were born. For example, a person born in 1954 needs to be 66 years old to qualify, while a person born in 1959 must be 66 years and 10 months old. However, you can claim benefits before you reach full retirement age, but your benefit will be reduced. The age at which you can claim benefits is 62. Once you file for benefits, you receive a monthly benefit in the form of a cash payment. This amount is designed to help you meet your financial obligations once you are no longer working. The exact amount you receive every month is based on your previous earnings. Disability benefits also require work credits before you will qualify. However, you do not have to reach a particular age in order to claim the benefit. However, you must be considered disabled in the eyes of the government. Your eligibility to Social Security Disability benefits is also listed on your Social Security statement. Spousal and Survivors benefits are amounts awarded to specific family members based on another party’s eligibility. Spousal benefits guarantee that a qualified spouse will receive at least half of their partners monthly benefit regardless of their personal work history. Survivor benefits involve payments to eligible dependents should a worker die. Survivor benefits are fairly complex, so it is important to review the details thoroughly to determine eligibility. While many Americans will be eligible for benefits once they reach the proper age, it is important to monitor your benefit amount throughout your working life. Often, Social Security benefits are not sufficient to meet all of a person’s expenses after retirement. It is wise to invest in a separate retirement plan to help cover additional expenses beyond what can be covered by your Social Security benefit. Learn more about SSI top ups through Supplement Security Income. 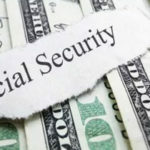 Social security by no means is a large amount of cash and when unexpected expenses pop up, many are thrown into serious financial stress. 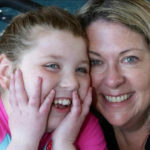 Knowing how and where to get a financial assistance such as a loan or advance can be difficult. Especially since most banks rarely provide small loans to low income earners. Fortunately, there are low income loans and social security loan options available.